Shanghai Disney Resort has announced that the resort will open two Shanghai Disney Resort Stores at Shanghai’s Hongqiao Airport in the spring of 2017 to extend guests’ Disney shopping experience outside the resort’s exciting shopping, dining and entertainment district, Disneytown. Both stores, located in the domestic departures terminal two of the airport, mark the first time that Shanghai Disney Resort offers its unique retail experiences outside the resort itself. 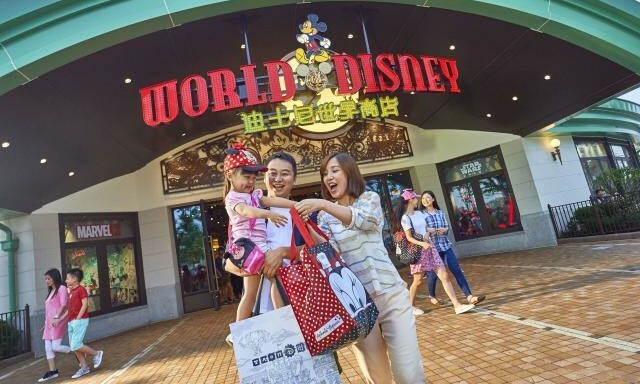 “The reaction we have seen from guests towards the exciting and innovative merchandise offering at our resort has been phenomenal,” said David Koo, director of merchandise at Shanghai Disney Resort. The resort currently features more than 7,000 different merchandise items, including Disney apparel, toys, stationery, lifestyle products, collectibles and gifts, ensuring something for every guest – young and old, girls and boys, families and friends. Approaching the 2017 Chinese New Year, part of the resort’s first Chinese New Year collections are already available, with more to come in the coming weeks. Shanghai Disney Resort has also created several new experiences for all guests. The Shanghai Disney Resort Magic Passport, which is available for the first time in a Disney theme park and designed exclusively for Shanghai Disneyland, provides an interactive experience for guests to learn about the stories behind the attractions and shows while collecting stamps from designated locations as souvenirs of their visits. The Walt Disney Company has released its 2016 Q4 and full year fiscal report, showing sixth consecutive year of record results. Robert A. Iger, chairman and chief executive officer, The Walt Disney Company, said the opening of Shanghai Disney Resort has made significant contribution. Since its opening in June, the resort has welcomed four million visitors in its first four months. The resort has also announced its expansion plan, with the new Toy Store Land set to open in 2018. Kedai Ayamas now offers 'More than just Chicken' in its latest rebranding exercise involving a new logo, tagline and product offer..